There’s no denying it – the holidays can be overwhelming, especially if you're in recovery from addiction. Here are 5 ways to cope with stress during the holidays. Find out why anxious breathing makes you feel bad and learn a simple, 30-second Deep Breathing Exercise that restores your inner calm. Try a few of the following real-life tips from panic patients and therapists to prevent anxiety and panic and to retake control when panic strikes. Although a drink or two can reduce anxiety temporarily, in general, alcohol makes anxiety worse; and sometimes significantly so. Answering some frequently asked questions about Post Traumatic Stress Disorder (PTSD). Worries drain your mental energy and do little to solve a problem – so banish unhelpful worries by writing them down and then challenging them with a series of structured questions. Learn how a worry diary can help you to get past excessive worrying. Do you or someone you love have a house that is literally overflowing with possessions? 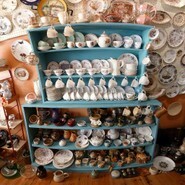 People with compulsive hoarding disorder have a very difficult time organizing and discarding possessions, even things that to the rest of us - seem like “junk”. More than 40 million American adults have an anxiety disorder; making anxiety disorders America’s most common mental health condition. The facts about OCD - What it is, making a diagnosis, understanding who is at risk and learning about effective treatment options. 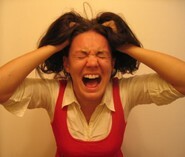 Chronic stress can lead to mental and physical health conditions. Minimizing your stress exposure is best, but many of us can’t practically eliminate stress – so instead we must learn to manage the stress we do experience. A condition that can emerge only days after a traumatic event and that produces symptoms similar to post traumatic stress disorder. An abnormal and developmentally harmful fear of separation from parents or caregivers. Agoraphobia is a fear of public situations, which in extreme cases, can lead to a person becoming housebound. A high blood pressure medication that can reduce the physical symptoms of anxiety. Do You Have an Anxiety Disorder? Know the Signs. Do you have an anxiety disorder? Ask yourself the following 7 questions. Here are 6 easily made dietary changes that can help you to reduce the anxiety you feel. Learn to spot the signs and symptoms of social phobia in children. Learn about social phobia, an intense anxiety surrounding certain social interactions that interferes with the ability to live a happy and normal life. Panic disorder sometimes occurs after the experience of unexplained panic attacks. A panic disorder is characterized by an enduring fear of experiencing another panic attack, and the way that fear influences life and quality of life. Between 3% and 4% of children experience generalized anxiety disorder. It’s up to parents and caregivers to learn the signs and symptoms of this disorder and to initiate treatment, if necessary.